Revolutionary new drug-free method to treat ankle pain utilizes Micro Current Therapy to help relieve pain and stimulate the regeneration of damaged tissue. Medically proven therapy is easy to use, practical and non-invasive, causes no side effects or discomfort. 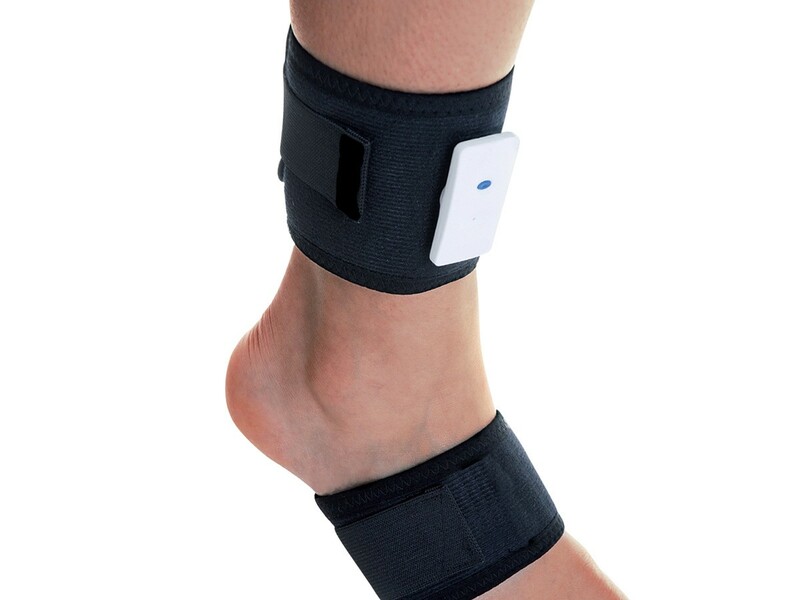 Wellneo Pain Tronic Ankle Wrap utilizes the latest, cutting edge Micro Current Therapy (MCT) to provide pain relief and regeneration of tissue with a gentle electric current that matches one that’s normally produced by your own body. Because it works directly on inflammation that your body is not strong enough to heal, Wellneo Pain Tronic Ankle Wrap effectively eliminates pain at the source. Unlike existing TENS methods used by hospitals and rehabilitation centres (which use a much stronger electrical current), MCT therapy is extremely gentle. This means that you won’t even feel it working. Most importantly, it won’t damage your skin tissue. Wellneo Pain Tronic Ankle Wrap is discreet and lightweight, so you remain comfortable and it stays invisible under your clothes. Wraps may be used several times and are easy to fasten with the help of a convenient snap. Wellneo Pain Tronic Ankle Wrap complies with all EC safety standards. Package contains 1x Wellneo Pain Tronic Ankle Wrap, 1x Snap-on Battery Unit and 1x Spray bottle. Rather than simply block pain signals, Wellneo Pain Tronic Ankle Wrap utilizes Micro Current Technology to deliver a continuous flow of gentle therapy, bringing oxygen and nutrients to damaged cells where the body’s own natural current is too weak to penetrate painful inflammation. This allows your body to repair itself naturally and stop pain at the source. A long known non-invasive therapeutic method used in hospitals and rehabilitation centres, the TENS method uses strong electric impulses to inhibit the transfer of pain sensory neurons, decreasing the sensation of pain. Wellneo Tronic Ankle Wrap improves on this concept by utilizing cutting edge Micro Current Technology with a current of microamperes that are about 1000 times weaker than TENS – providing a much safer, more effective and more comfortable way to treat pain, while remaining gentle on your skin.